Decked attempts to explore the luck and mind games that lie behind the physical contact of boxing. In a fight the momentum can turn on a dime, whether it's from a punch that managed to finally tip the scales or from a counter that landed because of a read. 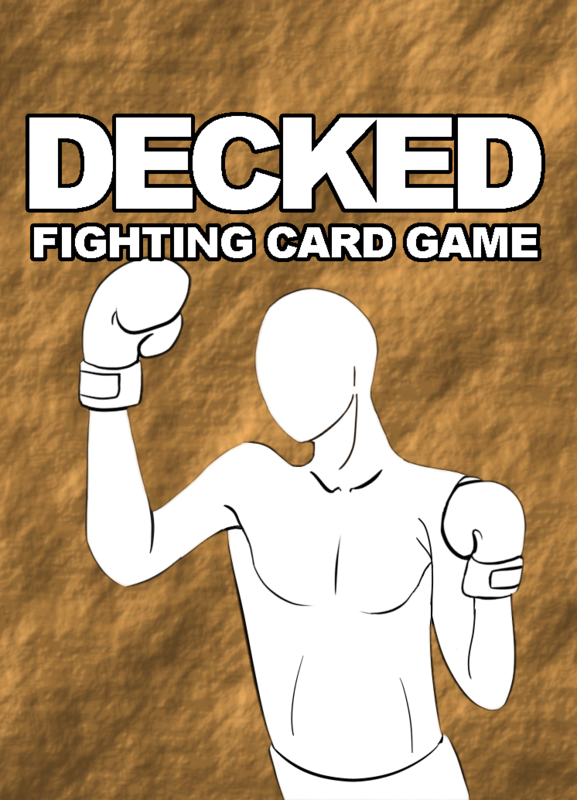 Decked allows new players to easily grasp the game through easy to understand rules and simple gameflow while allowing more experienced players to use their knowledge of common patterns to think several steps ahead of their opponents, allowing for them to let loose counters to deal massive damage. The core game is designed to be as symmetrical as you can get while using a card deck. 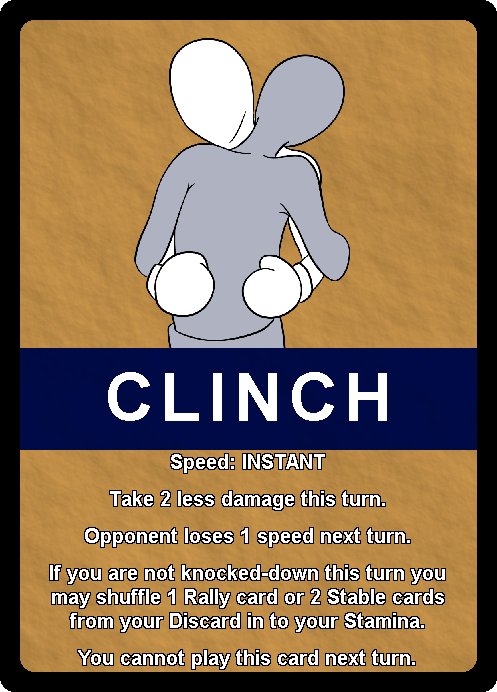 Both players have the same options available at the start of a game, but just like in chess how you use these options can change the flow of the fight. 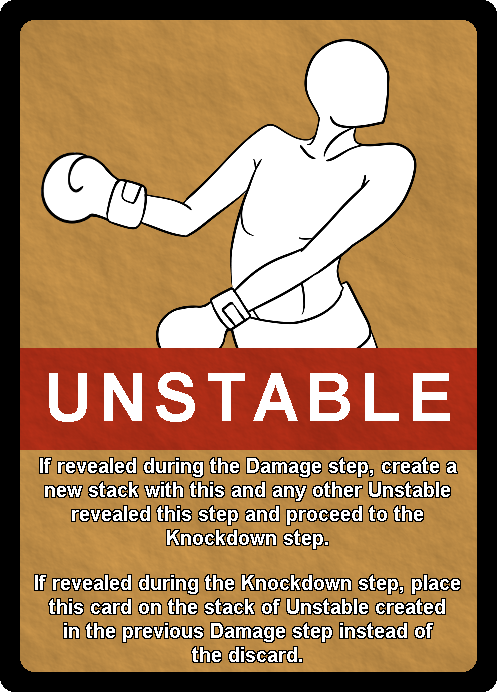 But if being a technical fighter isn't your speed Decked still has you covered. If you're on the ropes and throwing out punches one of them is bound to hit and do something. 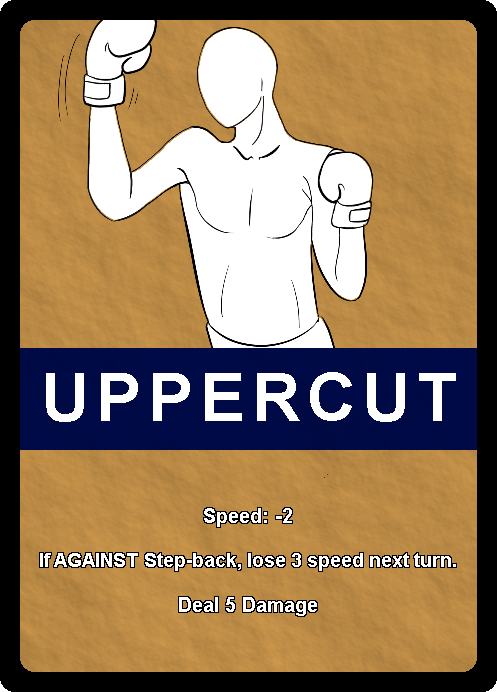 Decked a game that is built around comebacks that can create exhilarating experiences, from a double knockout, to a comeback TKO, to a hail marry that keeps the opponent on the ground. This is due to the Stamina Deck. This is the equivalent of your life. 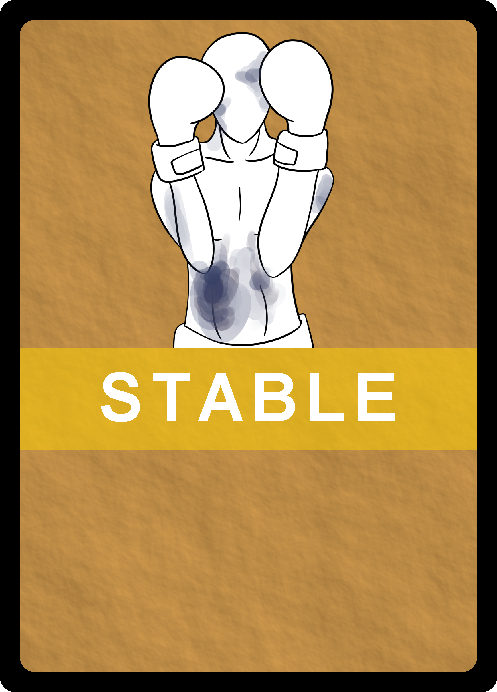 Its ratio of cards is carefully crafted to space out moments of tension under normal circumstances. Of course those of you who have played card games know nothing is ever normal. Some days you feel like you can't be stopped, while other days you collapse at the drop of a hat. It's all about whether or not luck is on your side. PSA You will need to download and print the rules if you want a physical copy.